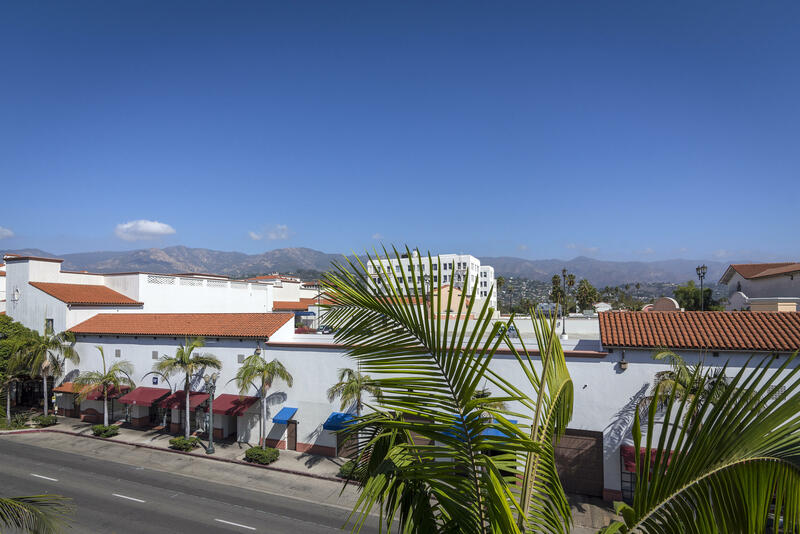 Directions: Access via pedestrian stairway adjacent to Sachi restaurant on Chapala - OR - elevators in garage on W De La Guerra side of the complex. 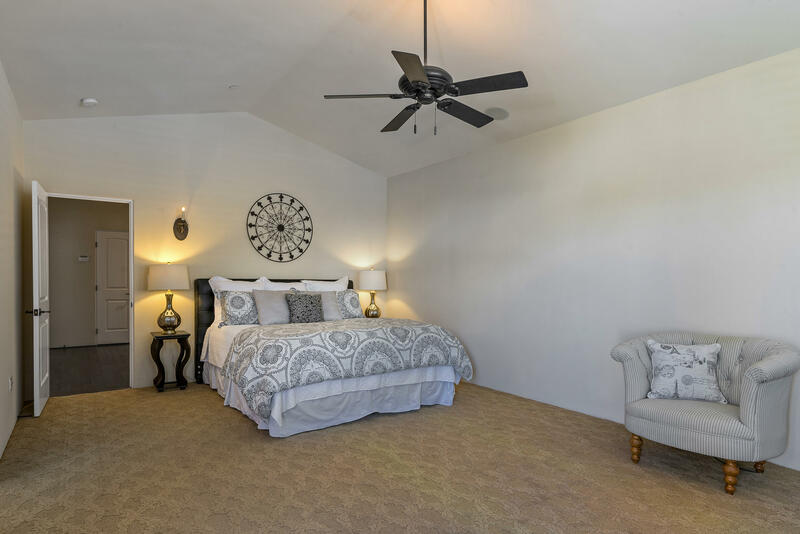 Two spacious southwest-facing bedrooms are perfect for guests or home office functionality. 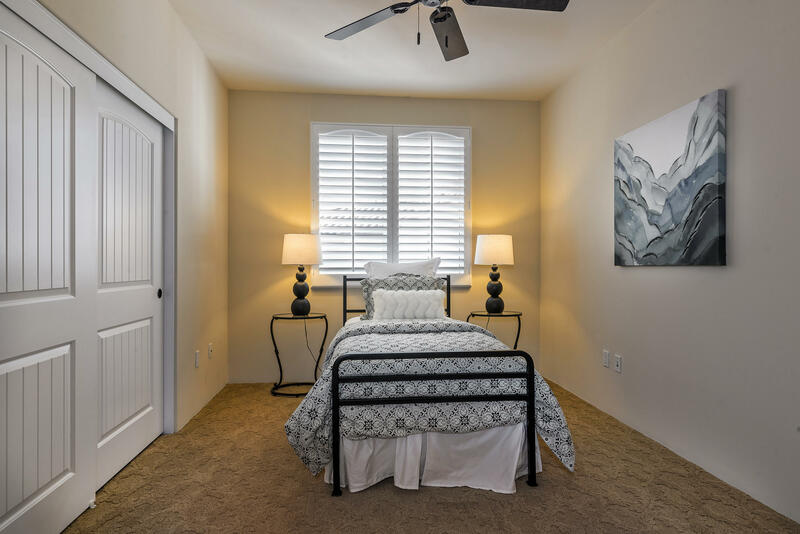 Stackable washer and dryer units are conveniently located between these bedrooms and the full guest bathroom. 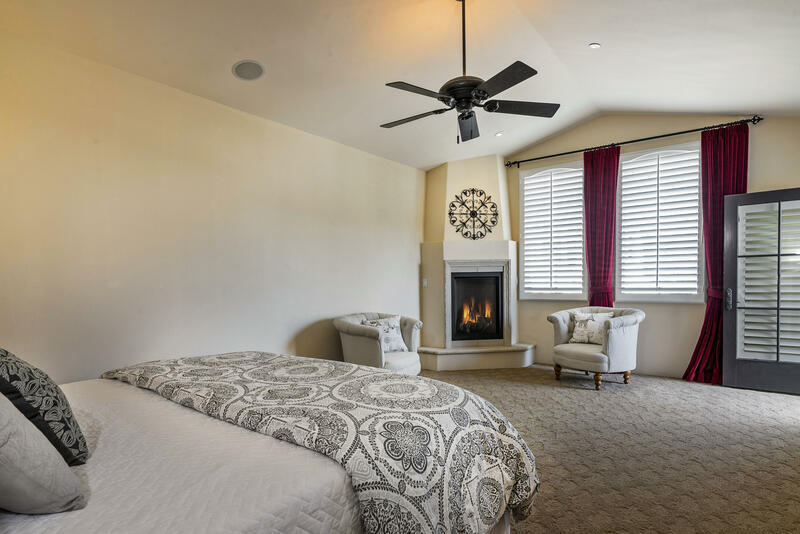 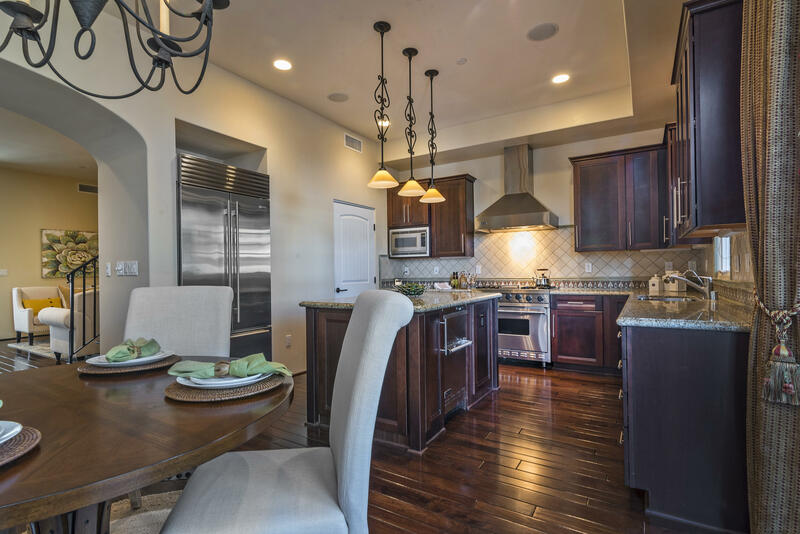 True comfort can be found in the master bedroom, with its gas fireplace, cathedral ceilings, expansive mountain views, and en suite bathroom with walk-in closet. 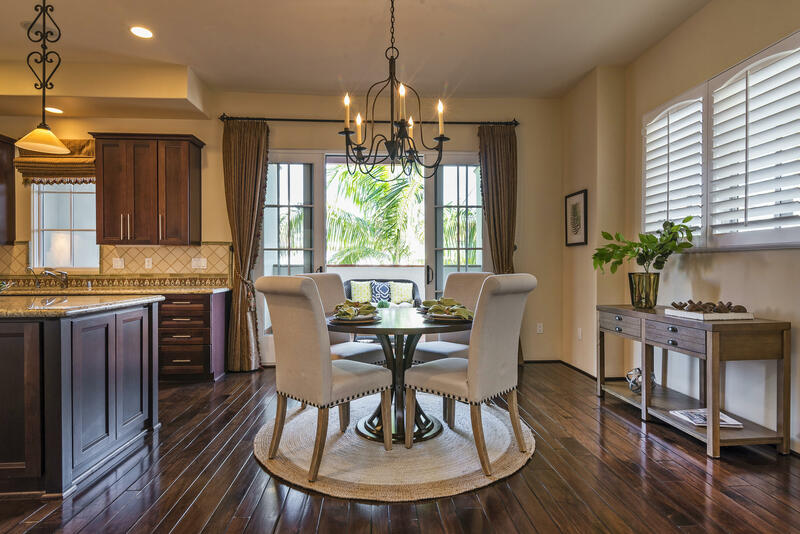 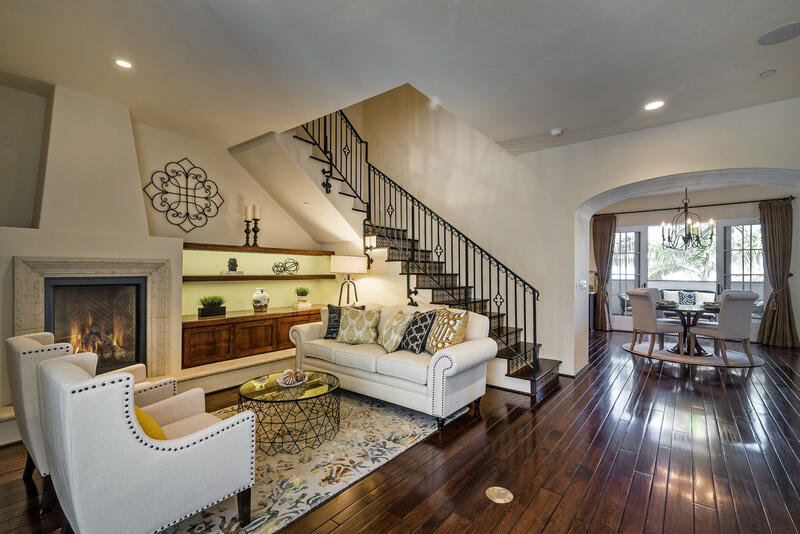 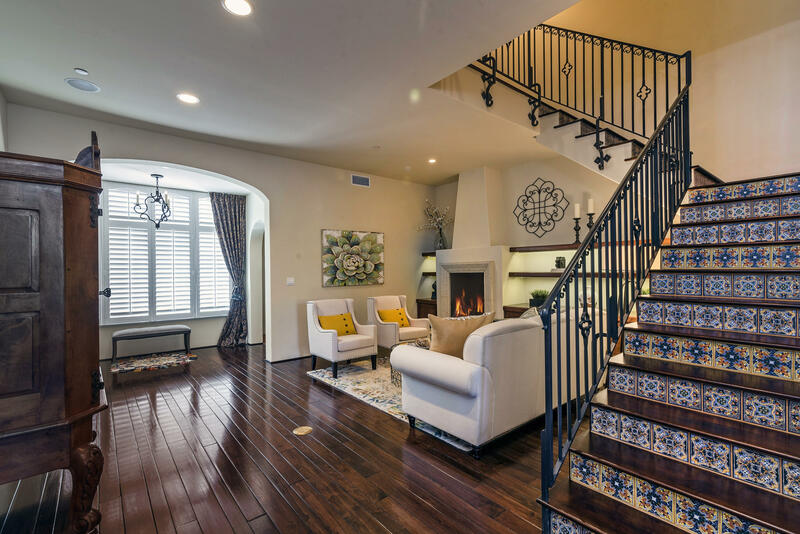 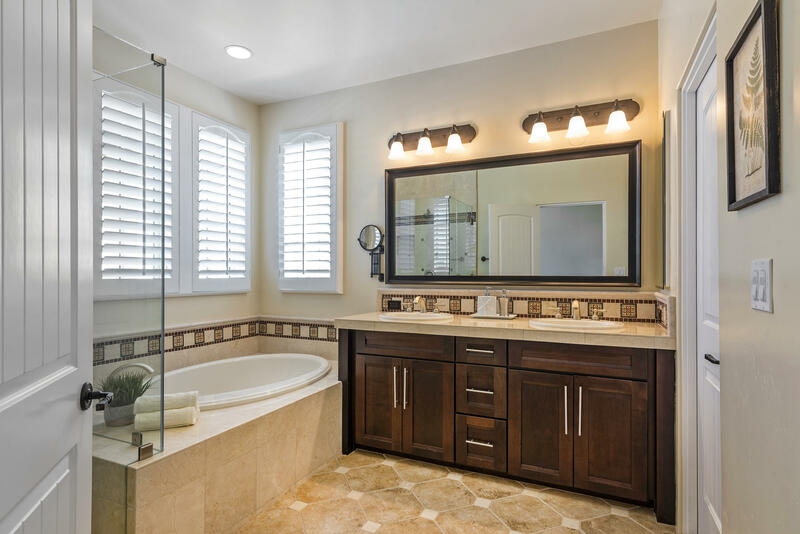 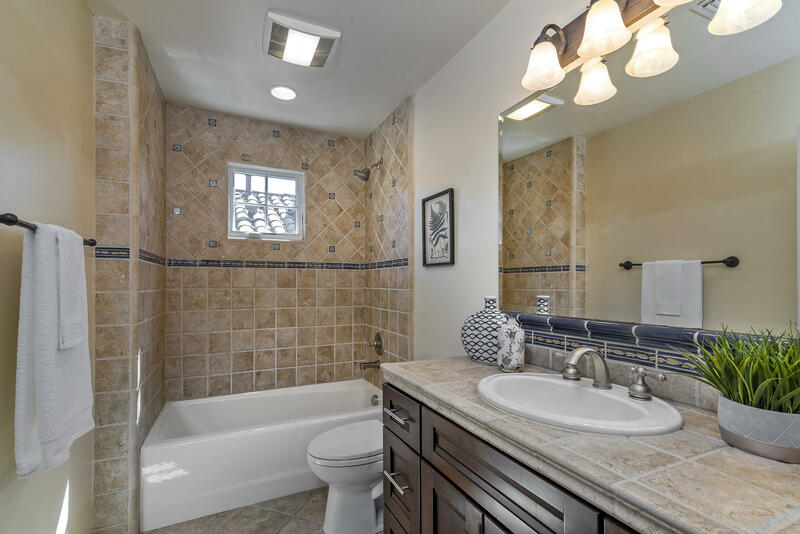 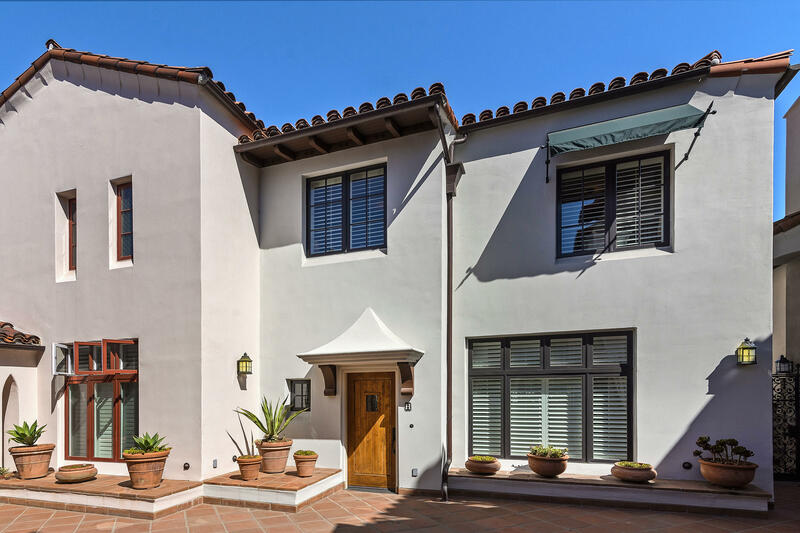 Meticulous maintenance is reflected in the refinished hardwood floors, cleaned and sealed Saltillo tile patios, polished and sealed bathroom stone surfaces, polymer coated garage floor, and fresh interior paint. 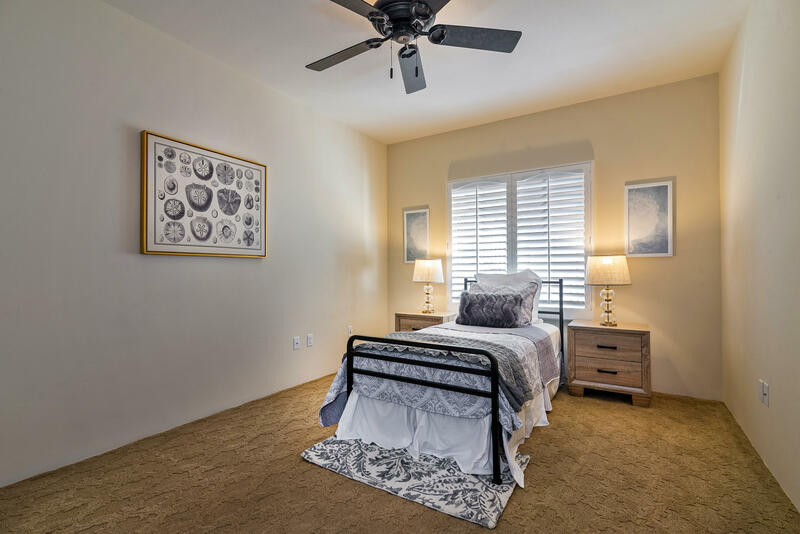 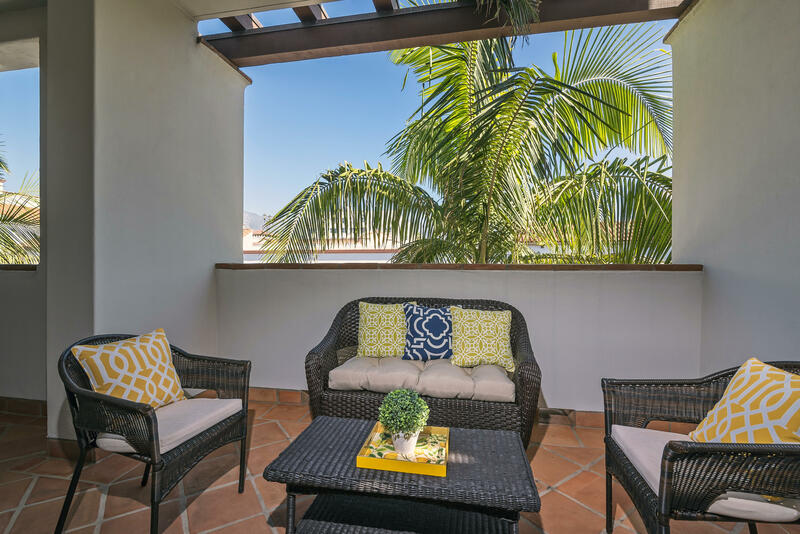 Additional amenities include central A/C by Honeywell, humidification system, water filtration, home alarm, wifi and Ethernet throughout, gated entry to the building, a Walk Score of 98, and a Bike Score of 99.